Hey, everyone. Just a little update from me. Sorry things have been quiet around here, I am still in the middle of chemotherapy to get rid of this pesky breast cancer. Just two more rounds and then I can get back to cat business as usual! Thank you to everyone for your support throughout this ordeal. I’ll be posting more cancer-specific updates at FelineSoFine.com and hopefully more frequent updates here, too. I have a ton of cool cat stuff to share with you so stay tuned! Spring Sale at Franklin Cat Furniture! Checking in at your blog daily to see how you’re doing, Kate, and you know you are in my daily *PRAYERS*. Gentle hugs to you. Just do what you need to do for yourself and we’ll stay tuned for as long as we need to do so. 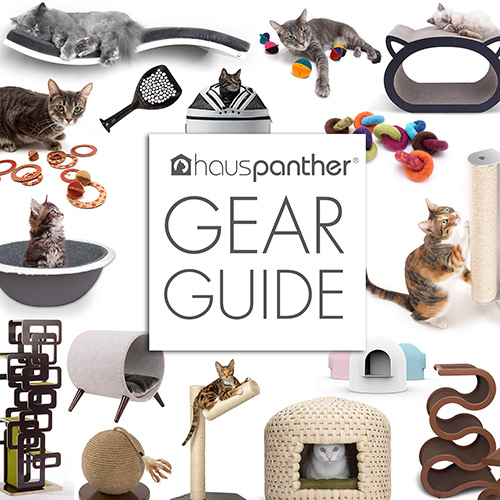 Just found this web site a week ago while looking for modern styled cat furniture. Wonderful website with so many fun products. Kate-I am sending you strong healthy vibes for good health!